Home » Unlabelled » NYFW: It's here so be prepared! NYFW: It's here so be prepared! Bouncing from show to show in frigid New York temperatures leave your skin dry and irritated! The NEW Drunk Elephant Marula Oil is a must have for beauty queens and fashionistas alike this NYFW. This luxury facial oil is unrefined and mimics your skins natural oils leaving you with glowing healthy skin. The entire Drunk Elephant Collection is non-toxic and created with low hazard ingredients to give you your best skin yet. This chic kit will be perfect backstage at Fashion Week without the interruptions of any beauty blunders. This kit is the perfect finished touch to your wardrobe. It contains 17 beauty, personal and fashion essentials sure to help any fashionista out of a bind. One of the four colors—gunmetal, copper, silver and gold—these kits are sure to match your ever-changing look! 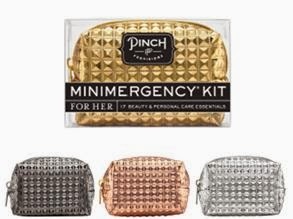 Get ready to face anything with the Stud Muffin Emergency Kit! 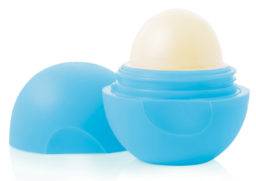 Keep free of chapped lips during Fashion Week with the eos Lip Balm Smooth Sphere! This fashion-forward sphere is USDA-certified organic and 100% natural! The soft-to-the-touch sphere is ergonomic, recyclable and is easy to find in even the largest of bags. 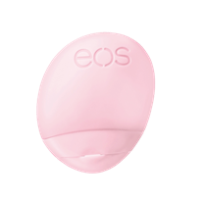 Keep hands soft and smooth during the coldest winter months with eos! With a delightful fruity fragrance and just a hint of floral, the eos Everyday Hand Lotion in Berry Blossom’s 97% natural formula will leave hands hydrated, but never greasy. Its sleek, ergonomic, recyclable packaging is not only cute, it’s also easy to find in even the largest of bags, and is a Fashion Week must-have. 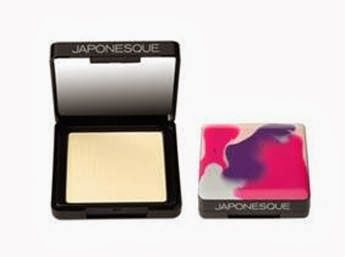 Stay shine free under the bright lights of Fashion Week with Japonesque! This beautifully packaged Finishing Powder is a must-have for all women during this chaotic time. It is the perfect product for keeping your skin looking fresh and vibrant all day long. The unique formula blends perfectly with skin without caking or settling into fine lines, while blurring imperfections and gently veiling the skit in its silky color. One universal translucent shade is suitable for most skin tones, and blends seamlessly into the skin to set your foundation, giving you a flawless velvet finish. The bespoke packaging is one of a kind. No two are the same! Protecting your head from the freezing temperatures with hats and headbands can do some serious damage to your hair. 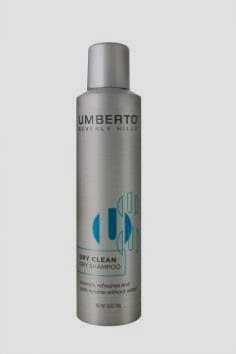 But with just a few quick sprays of the UMBERTO Beverly Hills Dry Clean Dry Shampoo is enough to revive tired hair in minutes. Eliminates oily build-up at the roots of hair and provides matte texture and body. Uses a unique rice starch formula with a light fresh scent to invigorate the scalp and leave hair feeling clean. Safely cleanses all hair types without stripping color or moisture from dry damaged hair. Bremenn Clinical Emergency Zit Stick™ immediately reduces the appearance of redness and swelling and clears the underlying blemish, all while nourishing skin with a luxurious formula. An ultra-concentrated formula made up of a botanical extract from Boerhavia Diffusa (a plant native to India), a prickly pear cactus extract (Nopal), and a specialized salicylic acid complex to zap unexpected zits fast. Perfect size for any clutch and sfix any pimples that pop up during the show! The hustle and bustle of New York Fashion Week may leave you with little to no time to have your hair styled. Enter GLAMSQUAD. 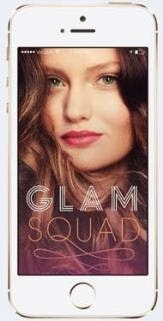 A stylist will come to you with as little as one hour’s notice thanks to the GLAMSQUAD free iPhone app. With a variety of gorgeous signature looks for everyday wear or special occasions, picture-perfect hair is now at your fingertips. Appreciating the modern woman’s demanding schedule, GLAMSQUAD offers salon-style blowouts in under an hour at your home, office, or wherever you may be. Getting glam has never been so easy, convenient and affordable. 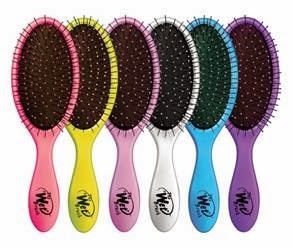 The Wet Brush Pro Select™ has become the #1 selling professional brush in the USA! Over the past few years it has developed a cult-like following, fueled by satisfied stylists and clients via word-of-mouth. The magic of the Wet Brush™ is in the specially formulated IntelliFlex™ bristles. IntelliFlex™ bristles are thin, strong and very flexible. They have intelligent flexibility - flexible on one stroke and firm on the next. The adaptive flexibility of IntelliFlex™ eliminates all tugging, tearing, pulling and ripping. No split ends, no hair loss. It provides healthy brushing and detangling, creating the perfect transition from wash to style! Tao Yin: A calming mist of Yi Yi Ren and White Lotus for your bed linen and body, which promotes restful sleep and aids meditation. The cosmetic formula contains no alcohol and is therefore ideal for use on sensitive skin. Inspired by every news reporter’s secret for a camera-ready smile, Vitality Lip Flush Butter Gloss in News Anchor Blue will make your teeth appear brighter in the blink of an eye! This ultra-hydrating, silky gloss is infused with blue micro-crystals that counteract yellow in your teeth to leave your smile brighter and whiter by glossing over your favorite lip color. Lusciously luxurious, Vitality Lip Flush Butter Gloss treats, hydrates, conditions, and nourishes your lips, minimizing the appearance of fine lines and wrinkles. Get your most dramatic and full lashes yet, with rich black pigment that lasts all day and never flakes or fades! The triple brush lengthens, curls, and separates lashes, while the innovative Lash Ball Detailer Tip “lets you go vertical,” and is designed to reach every last inner and outer corner lash. Clinically proven to increase lash volume by 430%, this innovative formula utilizes a blend of lash-enhancing and conditioning ingredients including Peptides, Collagen, Jojoba, Green tea, and Vitamins A, C, E, B5. A true game changer in mascara and eyeliner technology! It’s your eyeliner, black mascara primer and mascara in one! Unlike most other mascara brushes that are larger and leave the first 1/3 of your lash roots bare, this ultra-skinny wand “gets to the root of your lashes.” for ultimate length, volume, and the look of a full lash line. The wand also allows the primer’s conditioning agents to nourish lashes at the roots giving your lashes the most effective dosage of lash-enhancement and protection ever! The original phenomenon! His transforming, long-wear eyebrow pencil is infused with cutting-edge, brow-enhancing ingredients and adheres to skin to look like real hair! The oval shaped tip is perfect for both thin and thick brows, and helps you achieve a beautiful, natural-looking shape. This exclusive universal shade adjusts to every hair color, including grey. A complete brow lift instruction diagram is included with each pencil to ensure the look of full, natural-looking brows with every application! Don’t forget to protect your lips during this year’s New York Fashion Week! The Supergoop! SPF 30+ Lip Balms provide a unique, high SPF 30 lip balm solution to protect against broad-spectrum UV rays in a super-antioxidant and regenerative formulation, perfectly hydrating your lips under any lipstick. Availability: Nordstrom, www.Nordstrom.com and www.Supergoop.com. What else would you have packed besides snacks?! Hand cream? What else? I am bringing hand sanitizer and mints for sure!